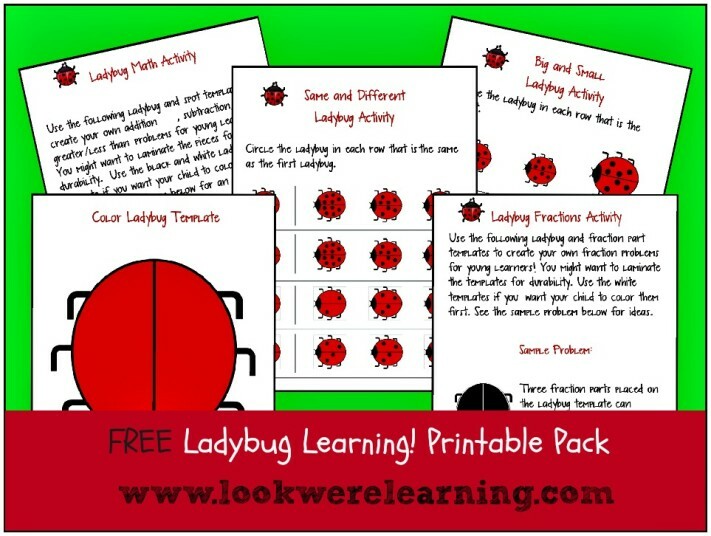 Free Bug Printables Pack - Look! We're Learning! Happy spring everyone! I love this time of year! The warmer weather, the longer days, the brighter skies – it’s all great stuff! It’s just the BUGS that bother me. But I’ve been learning to love bugs along with my kids, who think they’re awesome. 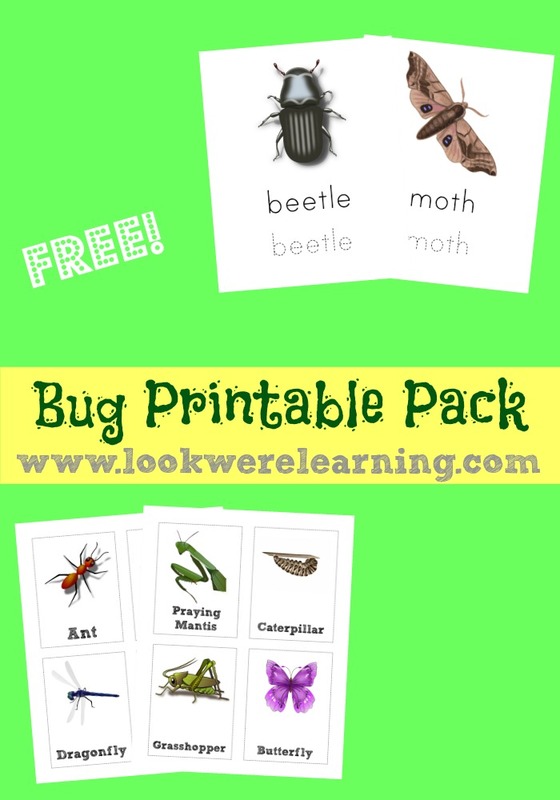 So I thought I’d share a brand new homeschool printable: A free Bug Printables Pack for all of you! Read on to get your copy! 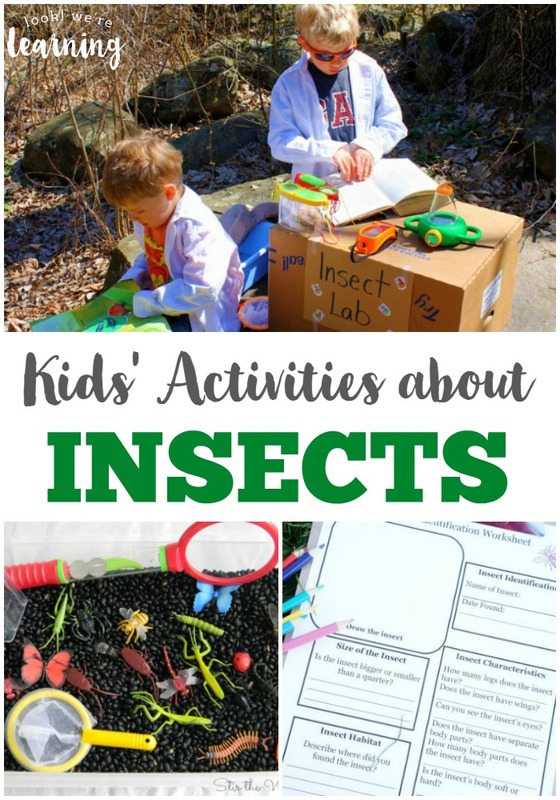 And don’t miss our fun list of kids’ activities about insects! This free Bug Printables Pack has over 25 pages of insect-themed fun! 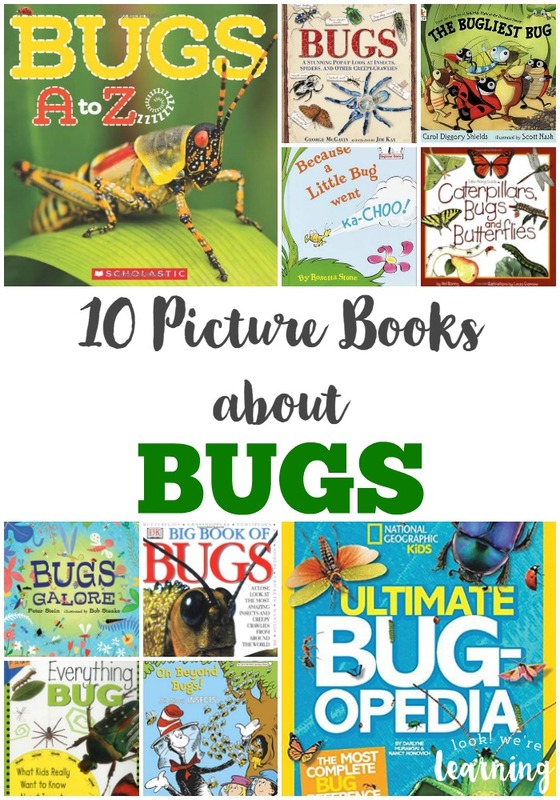 Scroll down to get your free Bug Printables Pack! Don’t miss these other spring activities for kids! Check out even more spring fun on my Spring Activities for Kids board on Pinterest! To get your copy of our free Bug Printables Pack, click the image or the link below to download it!